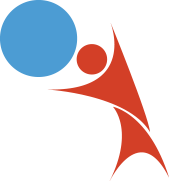 Training, development and coaching that delivers RESULTS! GROWTHco provides training, development, and coaching for clients aiming to achieve specific goals and more of their ultimate potential. We don't have trainers at GROWTHco. Instead, we have 30 top-shelf subject matter experts ready to facilitate content from over 500 courses in leadership, soft skills, productivity, sales, service, technical skills, and quality management. From the moment a client comes to GROWTHco, we strive to design customized solutions and deliver the highest quality of programming, working with our client on real-world opportunities until desired results are achieved. Traditional training events provide a one-time exposure to information and only results in a 10% retention rate. Without active implementation and repetition, clients revert back to prior conditioning, resulting in zero gain for long-term productivity. Since 1994, we have continually proven the only way to create permanent change in productivity and results is through transformational training. 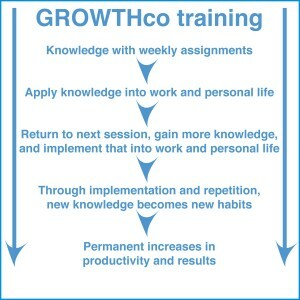 GROWTHco programs ensure that you and your employees receive AND implement the knowledge, tools, and processes to succeed until new, permanent habits and results are established. Learn team building with 1988 Sprint Cup Rookie-of-the-Year Kenny Bouchard, his crew, and race car! Worcester Regional Chamber of Commerce. GROWTHco's Transformational Training System Get's Results!